We think (hope?) that we have finally found where we want to live. We can't buy the house because it is extremely unlikely that it will ever be sold on the open market. However, we can rent it and do so for as long as we want to stay put - hopefully for a very long time. It is substantially smaller than the house in which we have been perching for the eighteen months or so but that is not a problem as you will see. The explanation is that the house in question is on the Dartington Hall Estate. This estate - which has featured here on my blog on a number of occasions in the past - covers over twelve hundred acres, includes Dartington Hall itself (where Marcia has spoken at Ways With Words) as well as a couple of schools, a farm, the Barn Theatre, The White Hart (a pub), The Roundhouse (coffee and snacks), the Cider Press Centre (now called Dartington Shops), a number of office blocks and, crucially, lots of houses and cottages. Click here to see more about Dartington Hall. In addition to the house we are renting a couple of small offices (which is why we can manage in a much smaller house) and earlier today we took possession of those offices and have started to move things into them. Gosh - even golly gosh. It has all happened quite quickly and incredibly easily which - rightly or wrongly - persuades us that this move was meant. From the above you will realise that we have been very busy indeed, sorting things out and beginning to pack up ready for the move which will be in two parts: all the rest of the officey bits next Wednesday and then the house stuff about half way through March to give us time to have curtain poles and so on put in place first. So we are in for a fortnight of general chaos and a tumbling of our usual mediocre cuisine which will, I fear, major on quantities of unhealthy snacks and pub lunches during this period. Fortunately there is one thing we will not have to worry about. The move is so local that we shall be able to stay with our present doctor and dentist which, for some reason, I find quite comforting. 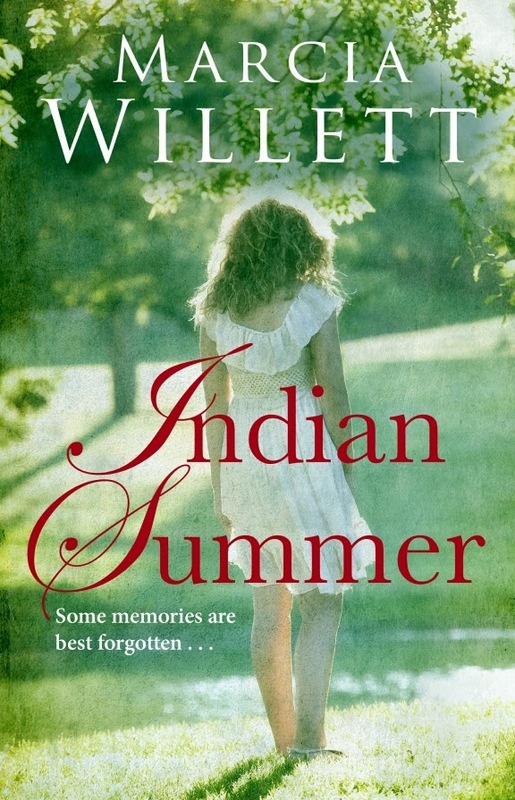 The proposed cover for Indian Summer which will be published in October. Meanwhile, on the booky front, last night I finished checking through the copy editing for Indian Summer - the book that will be published next October - and the final mss has gone off to Transworld and to Marcia's agent, Dinah Wiener (for the foreign publishers to read). Dinah has just returned from the island of Bhola, off the coast of Bangladesh, where there is the headquarters of a children's charity - Bhola's Children - of which Dinah is a trustee. The island is not the easiest place to visit: there is an overnight ferry journey which follows the long flight from London and I cannot help but take my hat off to Dinah who, despite being in her seventies, makes this trip at least twice every year. There is a big problem looming on the horizon for this charity, one we are beginning to see only too clearly here in the UK. The land that the charity has bought on which the hospital and school have been built is very low lying - as, indeed, is most of Bangladesh. There is an ongoing concern that rising sea levels will make this area untenable - and there is absolutely nothing that can be done to protect the island. Here in the UK we are realising that large areas (such as the Somerset Levels here, in the South West) are under attack in two directions: from rising sea levels and heavy rainfall. Now it seems that it is California that is in the firing line as, after months of drought, it is now facing its second torrential downpour: one that forecasters are suggesting will dump two inches of water in less than twenty-four hours. Hmm. 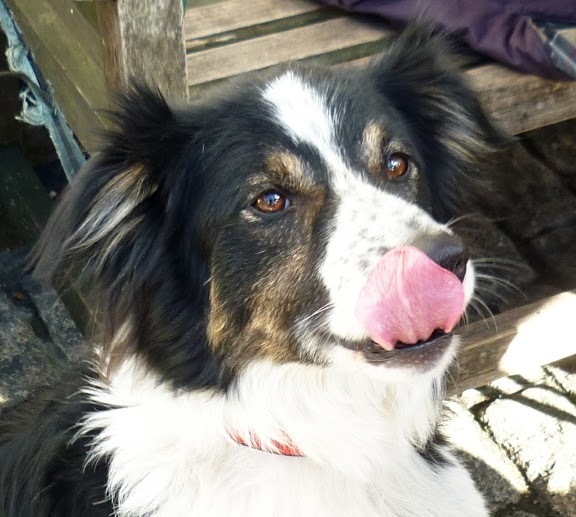 Colin the collie cross will not be going to Spain with the four "D's" (see last week's blog) but will remain behind to look after Debs' mum.